Distance Education Technologies include Intelligent Technologies which are computable mechanisms to enable automatic educational systems, communication Technologies which allows on-line discussion, and Educational Technologies which help users. Learning systems integrated with communication technologies, multimedia processing and human interfaces are proposed in recent years. Such systems raise learners’ motivation and provide convenience to them. The major issue of this workshop is to present novel technologies and ideas for education via internet connection and multimedia presentations. 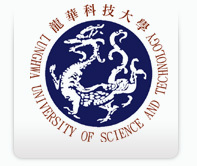 ADET'2013 will be held in conjunction with the 6th IEEE International Conference on Ubi-media Computing (U-Media’2013). The conference proceedings will be published by IEEE (included in the IEEE Xplore).